Windows 10 simplifies the Internet of Things by powering smart devices that bring intelligence to the edge. With an intelligent edge and the power of the cloud you can drive digital transformation that empowers employees, drives customer engagement, unlocks new products and business models, and streamlines operations. Building your Internet of Things solution with Windows 10 means you will use tools and technologies you already know, so you are productive right from the start. Windows 10 gives you enterprise-grade security, manageability, and a standards-based approach to connectivity that allows you to transform your business with a simple, powerful Internet of Things. Windows 10 IoT Enterprise is a full version of Windows 10 that delivers the enterprise manageability and security of Windows 10 Enterprise to IoT solutions. It is designed for powerful industry devices used in retail, manufacturing, healthcare, and other industries. 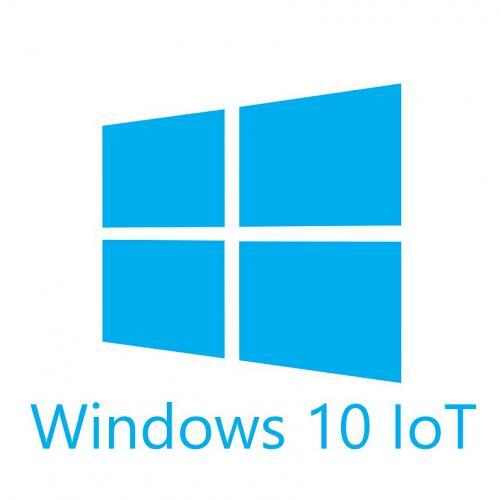 Windows 10 IoT Enterprise runs crucial line of business applications and performs specialized functions in a secure, reliable and streamlined way to support mission-critical devices. Check our webshop for ALL IN ONE PC's or MINI COMPUTERS with Windows 10 IoT Enterprise.